The purpose behind coming of Insolvency and Bankruptcy Code, 2016 (“IBC”) is to curb down the willful defaulters and revive the Company/Corporate Debtor so as to protect the interests of the creditors of the Corporate Debtor. Any creditor or employer, to whom the Corporate Debtor owes, can approach the Adjudicating Authority (National Company Law Tribunal “NCLT”) upon the occurring of default by the Corporate Debtor while repaying the amount owed to various creditors. If the NCLT forms the opinion that Corporate Debtor owes certain debt and has defaulted in clearing the same towards the Creditor, owing to the financial incapability of the Corporate Debtor, the NCLT shall admit the Insolvency application and pass the order of moratorium under Section 14 till the approval of the Resolution Plan by the NCLT. Under the IBC the application is admitted to revive the company and does not deal with each and individual dispute separately. 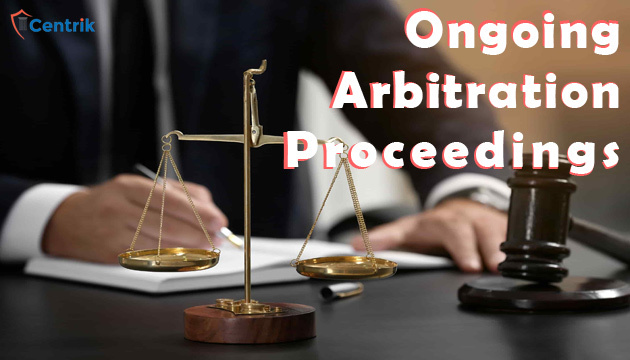 Under Arbitration the dispute is referred to the Arbitral tribunal to settle the dispute outside the court and the arbitral award forms a binding upon both the parties. The parties who have entered into the arbitration agreement refer the dispute to the arbitration before approaching any court or tribunal. The arbitration proceedings can be invoked only by the parties who have entered into the arbitration agreement and each party will be dealt separately depending upon the arrangement between them. Now once the dispute arises between the Corporate Debtor and any Creditor the parties can refer the dispute to the arbitration if the arbitration agreement exists between the parties. However, the question here arises is whether ongoing arbitration proceedings bars the filing of insolvency petition under the IBC or not? The answer to the above question varies depending upon the Section under which the application is filed i.e. under Section 7 or 9 of IBC. Although Section 238 of the IBC clearly overrides the other laws but that comes forth only if there exists any inconsistency between the IBC and any such law. An application filed under section 7 of the IBC is not barred by the ongoing arbitration proceedings, moreover once an application under section 7 of the IBC is admitted the other proceedings pending before any courts or tribunals including the arbitral tribunals are stayed by coming of moratorium into effect from the date of admission of the application by the NCLT. An application under section 7 filed by the Operational Creditor is barred due to pending Arbitration Proceedings as the on-going arbitration proceedings signifies the pre-existence of dispute between the parties and as per section 9 if any dispute is already pending between the parties before filing of the application under section 9 of IBC, no operational creditor can file an application for initiation of CIRP. The abovementioned law has been settled by National Company Law Appellate Tribunal in K Kishan vs. Vijay Nirman Company Pvt. Ltd.